Videocon is one of the best consumer electronics brands in India and they are also into the manufacturing of mobile phones. With the increasing demand of Android smartphones, Videocon started moving into the business and they have recently updated their device lineup with a new smartphone priced at Rs 4,699. 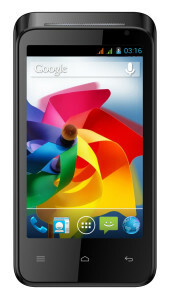 The Videocon A24 runs on Android 4.2.2 Jelly Bean and powered by dual core processor. Yet, it’s priced at Rs 4,699 only which makes it world’s cheapest smartphone running Android 4.2.2. Let see the complete specifications of the Videocon A24 down here. As per the price is concerned, the Videocon A24 looks great in the price category and it will definitely attract users because beating this device in this price range will be tough after looking at its complete specifications. Overall design is good and it feels like a smartphone priced at Rs 8k or higher but the reality is that Videocon is selling it at Rs 4,699 only. The device is just 11.8mm thick which is again an impressive factor since the device is slim. The WVGA panel has been used on which 4.0 inch diagonally measuring display has been added with resolution of 800×480 pixels. For a smartphone having so low price, this much quality of the display is really good. The Videocon A24 operates on Dual Core processor clocked at 1.2GHz which is further supported by 256MB of RAM and 512MB of ROM. The storage can be further expanded up to 32GB using the microSD card. Again a dual core processor at such price is really good and it will definitely going to attract customers. The Videocon A24 is capable of operating on 2G cellular network while there is Wi-Fi, Bluetooth (2.1) and microUSB ports in the device. This section again seems good. It even supports dual SIM cards. I don’t know whether there is any other smartphone or mobile phone available at such low price and having dual cameras but now Videocon A24 has got it. It got VGA camera on front and 3.2MP camera at rear. The quality of the camera can be expected with its price tag but again having camera at such low price tag is enough. 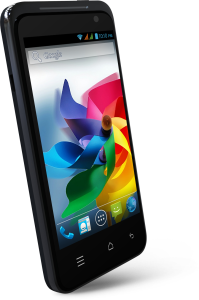 The OS or software on which Videocon A24 runs is the Android 4.2.2 Jelly Bean which is now the second latest version of Android. There are not too many devices running this version of Android but a device having such low price is really remarkable. As I already stated that Videocon A24 is going to be the cheapest smartphone running Android 4.2.2. The device also has G-sensor. The battery packed inside is 1450mAh battery and right now there are no words known on the battery life but it’s expected to be poor. The specifications are really good as per the price tag is concerned. This device will be good for those who don’t want to spent money and still wants more and more features. No words on the quality performance of the device can be said right now as we have to wait for the first review of Videocon A24.